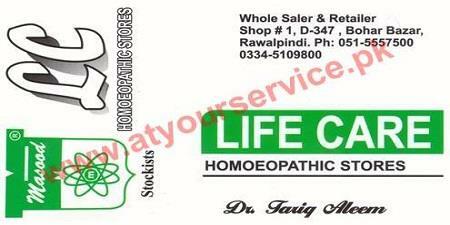 Life Care Homoeopathic Stores is located in Bohar Bazar, Rawalpindi. We deal with all kind of local and imported homeopathic medicine and books. Homeo Doctor Tariq Aleem is available for consultation of all your medical problems.